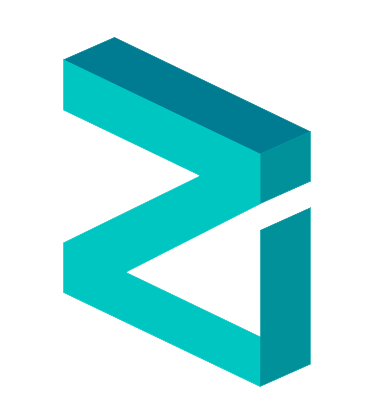 Ziliqa is a scalable and secure blockchain platform for hosting decentralized applications (Dapps). A main claim for Ziliqa’s competitive edge is its high throughput, boasting quick processing times and the capacity to handle over 2’800 transactions per second. This means that users can focus on developing their projects and ideas without worrying about network congestion, elevated fees, or security – key issues with legacy blockchain platforms. This enables new decentralized business models which remove middlement and drastically reduce inefficiencies by creating trustless connections and new ways of interacting and trading with other users. Cryptocurrency markets are becoming more accessible, but also more stable. As a platform, Zilliqa is among the handful of projects that seem to be gaining traction and favorable support from the financial services sector. They launched their ICO in late 2017 and capitalized on the attractive nature of its protocol: maximum scalability. It was developed using sharding in order to connect as many networks as possible, and uses Scilla programming language to write secure Smart Contracts on their network. Innovation in the technology supporting modern financial services have been somewhat stagnant in the past decade, until blockchain proved how it could revolutionize the system. To be a part of this future, Zilliqa has pinpointed the need for highly scalable platforms in order to service major players in the trillion dollar industry. Their team has been discussing and developing sharding since 2015, pushing the limits of the protocol. The public blockchain platform claims to be “tailored towards enabling secure data-driven decentralized apps, designed to meet the scaling requirements of machine learning and financial algorithms”. Ziliqa’s use cases rest mainly in three different areas: gaming/entertainment, digital advertising, and payment. First, it provides non-fungible tokens to allow gamers to own and custodize assets (similar to those that brought Cryptokitties to the front page of the news). Second, it is enhancing programmatic advertising by automating payments and minimizing the number of intermediaries. By enabling smart contracts and their audit, they aim to facilitate blockchain-based advertising supply chains by creating a transparent network, providing open market analyses, promoting responsible content delivery, increasing accountability, and ensuring the timeliness of delivery. Third, its high capacity to scale results in low transactions fees – making it possible for DApps to complete international micro-payments. In late 2017, Zilliqa announce an exclusive partnership with Mindshare, the global media agency giant. This partnership has involved testing of the blockchain protocol Zilliqa has provided, and assessing how it can address industry challenges and develop strategic initiatives around data privacy. This is an incredible partnership as Mindshare records over $30 billion USD of revenue annually and is greatly enhancing the capabilities of Zilliqa to provide an industry standard and solution for all. In July 2018, Ziliqa announced it was working with Decentralized Games’ Creator EMONT Alliance to provide a scalability solution and to offer a better user experience to players. This is a strategy for the long term, as Ziliqa’s sharding solution and high throughput will contribute to a frictionless gaming experience on blockchain. In December 2018, Ziliqa released its Testnet v3.0, dubbed “Mao Shan Wang” that contained the same set of features for its mainnet. It was the first fully-fledged testnet in the world to implement network, transaction, and smart contract sharding. Testnet v3.0 has the full-scale implementation of Scilla, the safe-by-design smart contract language they developed, across the network. To ensure that miners get accustomed to their mining process, public mining and dual mining features were swiftly made available on this testnet. A miner would need a different set up than that used in Bitcoin or Ethereum mining, due to Zilliqa’s unique design involving Proof of Work (PoW), sharding, and practical Byzantine Fault Tolerance (pBFT). This testing also helps identify possible improvements needed for stability and security of the Zilliqa mainnet. At the time of writing, Zilliqa has been trading at $0.022429 USD, down from $0.033884 three months ago. Zilliqa will launch their mainnet at the end of the month – exactly one year after their ICO. The mainnet will be bootstrapped in order to mitigate attacks when the hashpower is low. During this phase, miners will get rewards but no transactions will be processed. This phase will automatically end when a set number of hashing power and/or number of blocks is achieved. Next, after ensuring network stability and security, they will open their token swap window. Major exchanges and custodians will support the swap, and this window will be open for several months. The next steps for the Zilliqa team will be to focus on driving adoption and release an anchor app. Furthermore, they will continue researching and developing their sharding protocol to enhance its safety and security. Next, Zilliqa plans to explore ways to support DApps present on other blockchains and create research collaborations with other prominent communities.